Complete vertical integration, raw material self-sufficiency. Nan Ya Plastics Corporation was established in 1958 as a subsidiary of Formosa Plastics Group (FPG). As one of the major plastic processing plants in the world, our products included plastics, petrochemical products, polyester fibers, and electronic materials. In 1980, we branched into PVC plastic wrap production. With our advantages in vertical industry integration, direct material supply from No. 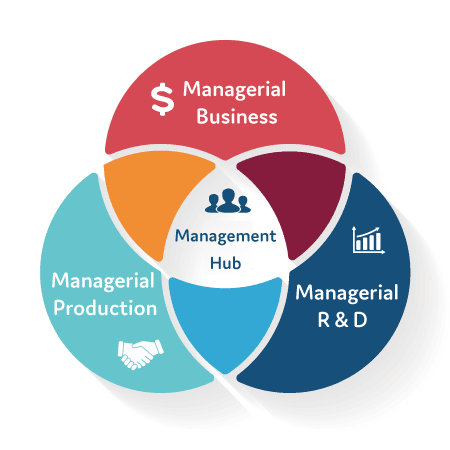 6 Naphtha Plant, and professional production technology, we were able to develop our operational strengths in vertical integration while our presence in Taiwan, Vietnam, Nantong and Huizhou allowed us to provide a wide range of specifications and market our products worldwide. 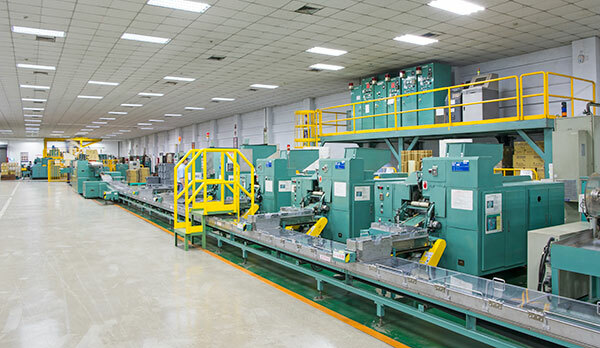 The Nan Ya Plant in Taiwan was established in 1980 and has engaged in plastic wrap production for nearly 40 years. We provide PVC plastic wrap for household, food and catering applications, and a wide range of products of varying specifications. 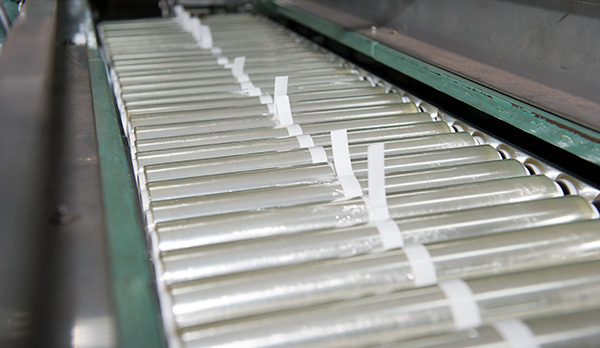 Our annual PVC plastic wrap production can reach up to 12,000 tons and marketed to USA, North East Asia, Middle East, Australia, New Zealand, and Europe. The Taiwan Plant has continued to implement management optimization, including automated production lines and plant cleanliness to ensure conformity with GHP regulation guidelines. Automated operations were also implemented for raw material delivery, calculation, blending, and production process to improve operational efficiency. For nearly 40 years, we have continued to pursue excellence and dedicated our efforts to providing consumers with high quality products worldwide. Nan Ya Wrap - the Plastic Wrap that has always been by your side. Since its establishment about 40 years ago, the Nan Ya Plant in Taiwan today offers sufficient production capacity and a wide range of specifications. Based on our management philosophies of "Identifying underlying issues and seeking perfection through improvement", we provide our clients with high quality products. We have obtained the ISO9001, ISO14001, and OHSAS18001 certifications and our products are in compliance with national food sanitation standards, so product safety is assured. Our plant complexes are clean and well-illuminated to meet the standards as a food packaging plant. Employees entering the plant are required to clean away the dust in air shower rooms. Automated production operations for household plastic wrap reduces manual labor in moving of goods and increase production capacity. 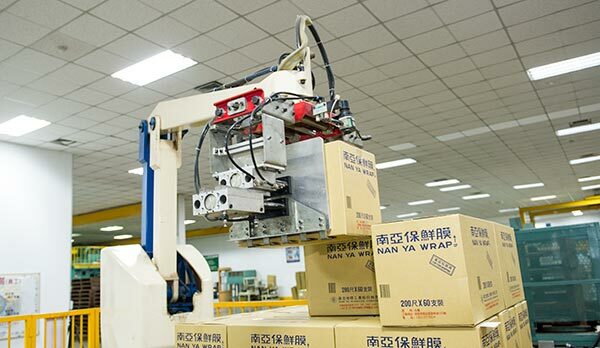 Automated production line, production of scale for household plastic wrap.